The our family company, wich are extended for 20 ha, produce even cereals and fodder but the our main product is the D.O.P. extra virgin olive oil Umbria Colli Amerini. 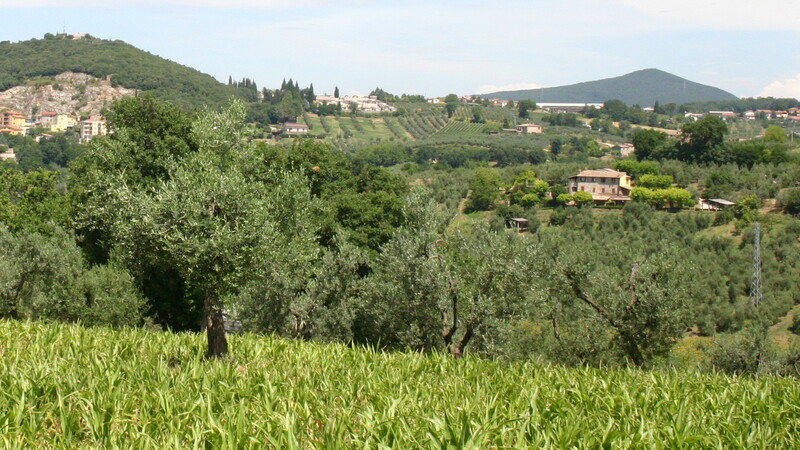 In the our olive grove are present about 1100 olive trees varieties of Frantoio, Moraiolo, Leccino, Rajo, the most diffused in Umbria and in the amerino’s district. The harvesting is performed from the last week of october starting by the early varieties of Leccino. The olives is hand-harvested and processed within the next 24 hours from the harvest to obtain an olive oil with a very low sourness and preserve the great variety of scents that only an olive oil haves. The bottling is carried out in the company with the our brand in packs of 500, 750 and 5000 ml. The annual production is about 2500 lt. The our commitment to research the high quality for the our products was be awarded with important acknowledgments: The our company has won the II, III, V, VII and VIII editions of the regional competition for the best D.O.P. Umbria Colli Amerini. In the 2007 and in the 2009 our olive oil has reached another important goal: it has won the XV edition of the national competition ERCOLE OLIVARIO XV.